Yesterday, our former colleague Alana Goodman reported in the Washington Free Beacon that a roster of speakers with ties to Hezbollah, Iran, and anti-Israel extremists tainted a Washington conference that was supposed to promote awareness of persecution of Christians. But it turns out the speakers weren’t the only problem at the In Defense of Christians event. Senator Ted Cruz was booed off the stage at the conference last night when he expressed support for Israel. While some are unfairly speculating whether Cruz’s courageous stand was a calculated gesture, what happened highlights the insidious growth of anti-Semitism even in places where one might not have expected it. For the Cruz haters, the significant factor here is his presidential ambitions rather than the hate he faced. Over at Slate, Dave Weigel seems to imply that once Cruz figured out that he was attending an event that was sponsored by some fairly fishy characters, the Tea Party firebrand made a decision to distance himself from the group and dared them to boo him by making a strong pro-Israel statement. 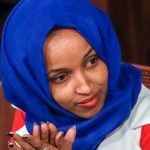 It was, the liberal pundit claimed, a “Pro-Israel Sister Souljah Moment” that will insulate the Texas senator against any claims that he made common cause with extremists. Those who hate Israel hate America. Those who hate Jews hate Christians. If those in this room will not recognize that, then my heart weeps. If you hate the Jewish people you are not reflecting the teachings of Christ. And the very same people who persecute and murder Christians right now, who crucify Christians, who behead children, are the very same people who target Jews for their faith, for the same reason. … If you will not stand with Israel and the Jews. Then I will not stand with you. Good night, and God bless. But the idea that Cruz was worried about his pro-Israel credentials doesn’t wash. Cruz has made a lot of enemies on Capitol Hill with his take-no-prisoners approach to policy and an abrasive manner that has alienated colleagues on both sides of the aisle. 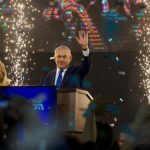 But he’s also taken every possible opportunity to articulate strong support for Israel, often taking the administration to task for its predilection for picking fights with the Netanyahu government. While he certainly did himself some good by standing up to these haters, his statement was not out of character for a man who has often uttered these sentiments in other contexts. It’s also not clear that this will give Cruz any material advantage in 2016. Other than Rand Paul, whose isolationist tendencies make him extremely problematic for supporters of the Jewish state or a strong U.S. foreign policy, all of the major and most of the minor GOP contenders have strong pro-Israel records. This is not an issue on which any of those contending for the nomination will be able to distance themselves from the pack. But instead of speculating, as Weigel did, on the questionable notion that this was a political stunt by Cruz, the real issue here is the effort to mainstream anti-Semitism while operating under the banner of defense of persecuted Christians. The issue of the oppression of Christians in the Middle East is an important one that has for too long flown under the radar. The rise of violent Islamist groups like ISIS and Boko Haram have brought this issue more attention in recent months. But the willingness of some Middle East Christians to make common cause with Muslims when it comes to Israel undermines their cause. Jews and Christians have always suffered under Muslim rule as Dhimmi, persecuted minorities that are nonetheless protected from murder so long as they accede to their second-class citizen status. In the 20th century, some Christians sought to prove themselves by affirming their loyalty to a pan-Arab identity that placed them in the forefront of the war against Zionism and the Jews. But the idea that their opposition to Israel could protect them against Muslim extremism was a tragic mistake. Today, Christians find themselves under tremendous pressure in a region where true freedom of religion only really exists in Israel. Yet some who claim to represent Christians are once again outspoken in their hate for Israel and even absurdly blaming the Jews for their plight at the hands of hostile Palestinian Islamists. Instead of making common cause with Jews who are also targeted because of their faith, some Christian groups have become among the most outspoken advocates of hate against Israel. This unfortunate trend must seen in the same context as the rising tide of anti-Semitism in Europe that is now beginning to be exported to American college campuses. 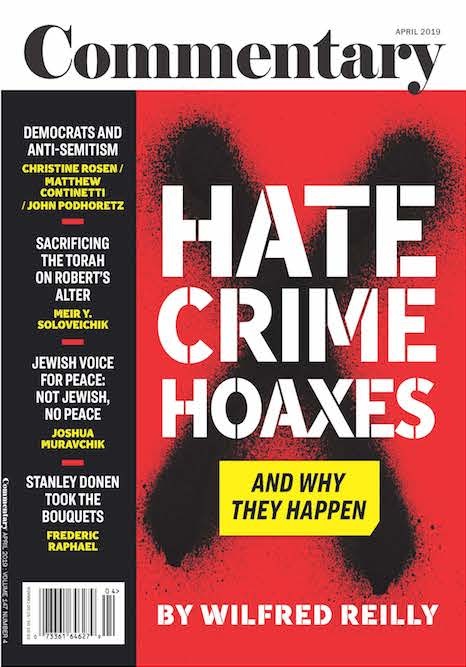 As with others who oppose Israel’s existence and its right to self-defense, these Christian groups—whether mainline denominations such as the Presbyterian Church USA or organizations with their roots in the Middle East as is the case with In Defense of Christians—are spreading hatred of Jews and must be called out for their hypocrisy as well as the libelous nature of the propaganda they spread. Americans need to speak up now against the persecution of Christians in the Middle East. But groups that wish to divert Western anger from Islamist killers to besieged Israel should not fool them. No matter his possible future plans, Cruz deserves credit for denouncing a hate group masquerading as victims. Rather than snipe at him, decent people on all parts of the political spectrum should be joining him in standing up to anti-Semites, not ignoring them.